Wholesale Address Rubber Stamps. Order Below. Engraved Signs & Corporate Seals. Trodat Ideal Rubber Stamps produced at Wholesale by Insigniah Inc and Texas Impressions. Call us in Dallas at 800-327-7689. 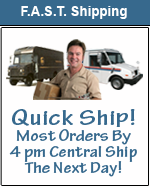 Order Ideal Stamps easily and quickly here online. Ideal 50, Ideal 80, Ideal 100 and Ideal 200 sold on this site. Trodat complete product lineup is offered and shipped quickly. Free Logos which Ship very fast. Trodat 4910, Trodat 4911, Trodat 4912 and Trodat 4913. Engraved Signs, Desk Signs, Name Tags, Embossing Notary Seals and Corporate Seals are quality made here. We make Ink Stamps and Handle Rubber Stamps shipped within 24 hours of order entry starting at $2.95 suggested retail. We are a Wholesale manufacturer for Print Shops, Office Supply Stores, Shipping Stores and other re-sellers. The items on this site are the Best Value you will find on the internet. Better Product Design. Better Labeling Design. Better Print Plate Quality. Better Product Selection. Better Layout Choices. Better Order Process. Better Customer Care after you've placed the online order. We can provide most brands other than Trodat and Ideal. Do you have an old Comet, Cooke or Xstamper. We may be able to replace it for you. We have been making Rubber Stamps and Marking Devices since 1974. Buy your Trodat 4910, Trodat 4911, Trodat 4912 and Trodat 4913 online here and we'll get it out promptly. Your Ideal 50, Ideal 80, Ideal 100 and Ideal 200 will be made with great care and quality in mind. Let us produce your Engraved Sign, Name Sign, Name Tag or Embossing Notary Seal or Corporate Seal with true craftsmanship. Ink Stamps and Rubber Stamps are placed in production the minute you hit the place order key. Thank you for your compliment to our creativity by ordering on our web site. Again call us in Dallas Texas at 800-327-7689.